Last month DJI announced their newest drone, the DJI Mavic Air, and I happened to catch the live event on their YouTube channel. Like many, I wasn't sure what to expect, but as I continued watching I was truly impressed with what I was seeing. Unlike many drone "experts" out there, I thought this was a great deal. A smaller drone with essentially the same sensor as the Mavic Pro, but shoots 4K video at 100Mbps, you can create 32MP spherical panorama shots, has 85-degree field of view, shoots slow motion at full HD @ 120fps, and is cost $799 USD? To me, it was a no-brainer! Yes, I realize that the flight time is less than the Mavic Pro (21 minutes vs the 27 minutes on the Mavic Pro), and the range is less as well 2.5 miles versus the Mavic Pro's 4.3 miles (personally I'm good with the 2.5miles), and that the Mavic Air uses enhanced wifi to communicate with the controller instead of OcuSync among other things (some Intelligent flight modes are not available on the Mavic Air), but at the end of the day it's all about what fits your needs. I bring this up because there are many people out there that like to tell people otherwise. If it's not what they like or if they don't agree with you then they'll try to put down what you're getting. Moving right along! I had the Mavic Pro, but I still wanted a smaller drone that could shoot 4K. When the Spark came out, I thought to myself, if only DJI would make a drone that small that could shoot 4K that would be perfect! Personally, I never used all the Intelligent flight modes like Waypoints or Fixed-Wing Mode so that's not a big deal to me. So what are my needs anyway? 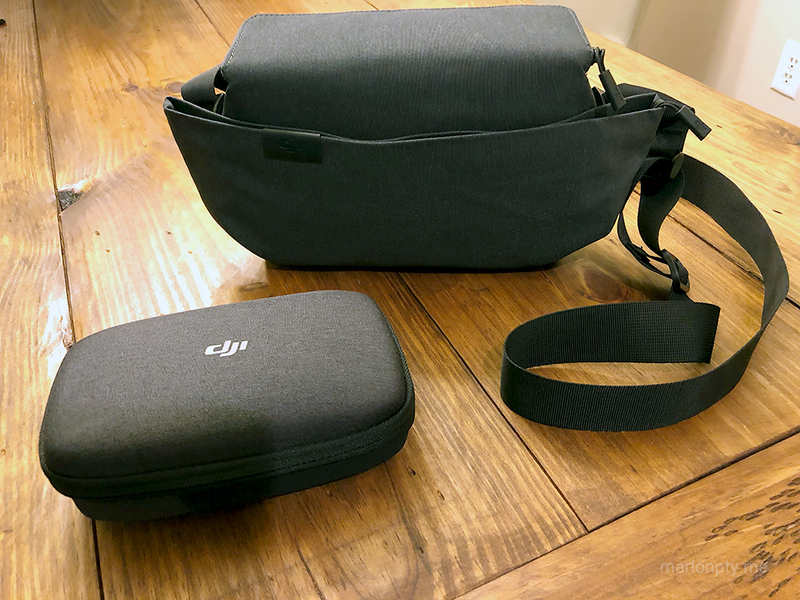 Well, I wanted a drone that was lightweight, compact and portable (Mavic Pro is all of those, but this one is smaller and lighter), one that could shoot 4K video, and that had a quality camera and the Mavic Air meets those needs and more. Add the fact that their Fly More Combo includes 3 batteries, a high-quality travel case and carrying case, spare control sticks (btw the sticks are removable and have a dedicated storage spot within the remote controller) and 6 pairs of propellers among other things, all for $999. To me, that's a great value and honestly, I couldn't really tell the difference between 21 minutes and 27 minutes of flight time. I just popped in an extra battery kept flying. With this bundle, you are covered for at least one hour of flying! I am not here to tell you that one drone is better than the other, but what I will tell you is that the DJI Mavic Air is a great drone and is very capable of capturing some quality video and photos. Don't let anybody tell you any different! Again, it's all about what fits your needs. Below is a video of my first flight and first impressions of the Mavic Air. Please check it out and if you like the video be sure to give it a "LIKE" and consider subscribing to my YouTube Channel.